The Bizagi ODS is a powerful option that enhancing availability and performance of your transactional database. 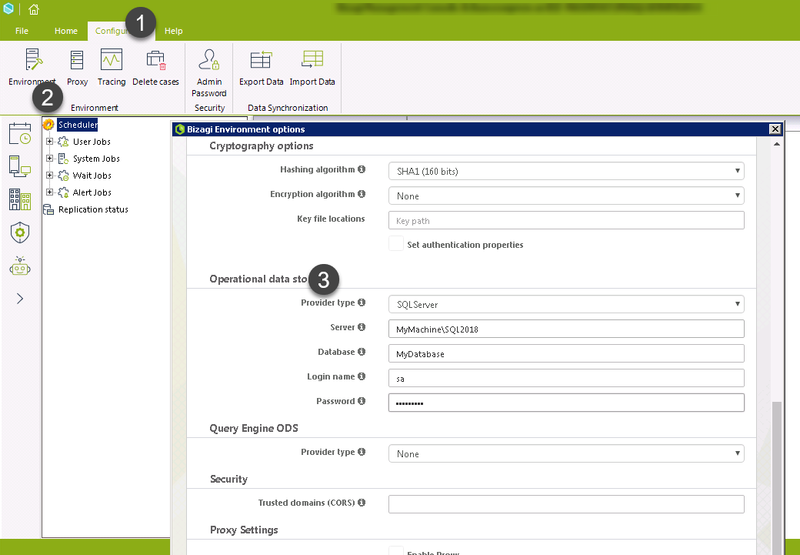 Once you have set the database replica of your Bizagi database, proceed to configure the connection to such ODS in Bizagi. This is done by using Bizagi Management Console for any environment (Test or Production). Once you have set the database replication configuration for the ODS, configure the connection to the ODS in Bizagi in the Bizagi Management Console for any environment (Test or Production) as described below. To configure the ODS from the Management Console, select the Configuration tab and click the Environment button to start Environment configuration. Under the Advanced options, an Operational Data Store sectionlets you to configure the connection to your replicated database for this environment. Configuration varies according to the server and platform running your processes. When running Automation Server in a .NET platform, choose the Provider type and then provide the details. •Server: The database instance where the ODS is at. •Login name: The login account used for the connection to the database. •Password: The password for the login account used for the connection to thet database. •Password: The password for the user schema. Once this information is configured, Process Analytics queries executed in the Work Portal will be carried out against the ODS, and without using other resources than those involved for the end users' daily activities. 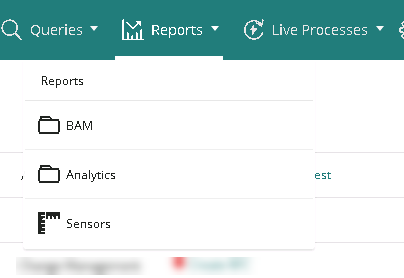 In addition to the previous option, Bizagi encourages the use of a query engine to support your ODS as a best practice, boosting your BAM and Analytics modules even more. To learn more about this possibility, refer to How to enable query engine ODS support.